This is an original acrylic and oil painting on wood panel. 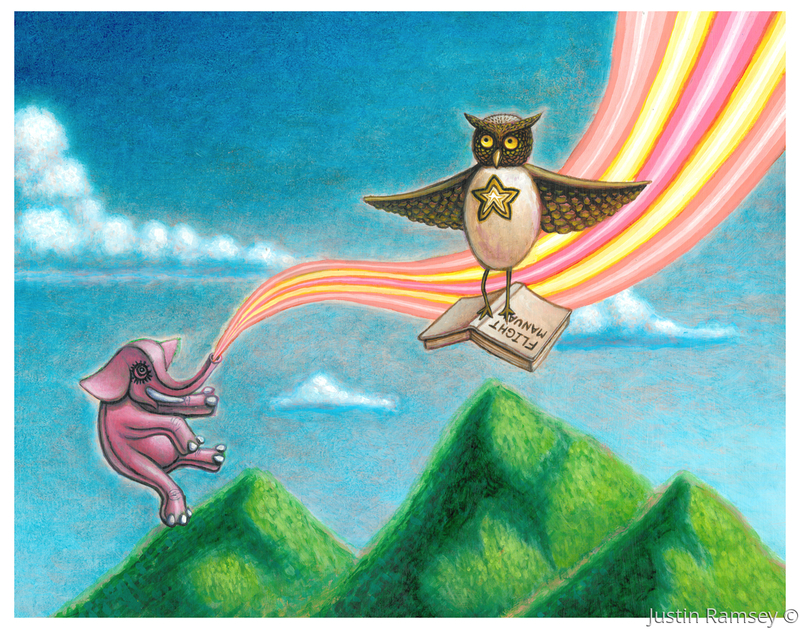 It is the first time one of my owls and elephants have appeared in the same painting. It is a commission piece for a new born child's room.